Android phones and tablets are some of the best platforms to enjoy real money and interactive casino games, both random number generated titles as well as live dealer gaming titles. This page will take you through the basics of how to run graphically advanced and immersive casino games on your Android device, what types of games are available and how the titles differ from traditional desktop gaming. Listed below are the top Android mobile and tablet compatible casino websites for real money Australian players, keen to enjoy games such as roulette, blackjack, video pokies, baccarat and poker. Each of these sites own fully fledged and well designed mobile interfaces, and list hundreds upon hundreds of casino titles to enjoy within both practice play mode and real money mode. If you are reading this content on your Android device, simply access any of our casino links and you will directed to your chosen gaming site in a new browser. Before registering an account, you can look through the entire catalogue of games and trial them within free play mode, as well as browse through the current promotions which are on offer. Signing up for an account via your Android is a painless process, and takes less than three minutes, with details such as username, password, name, date of birth, email address and preferred currency required. This method of gameplay is known as ‘instant play’ gaming, where you play instantly through your mobile or tablet’s Web browser. By far the most popular method of play, instant play gaming is quick, convenient and is able to run high quality and visually rich data. Alternatively, players can opt to install application software on to their device. However, due to certain mobile gambling restrictions within Australia, the native apps the above casino operators are able to market Down Under are very limited. Royal Vegas Casino is one of the only operators which has successfully bypassed some conditional laws and offers to its Australian customer base a downloadable app titled ‘Regal Vegas Casino’. This is the official Royal Vegas Casino app for Australian players, and is available via Google Play via this link. A Web app, unlike a native app, requires minimal (if any) disc space, and is processed via the Internet. Similar to a bookmarked page, the Web app is an extension of the instant play style of gameplay, and be created by the users themselves. Simply open your desired Android compatible casino in your Web browser, and then access your in-browser settings to find ‘add to home screen’. Tap that option, and you’ll be asked to create a name for the Web app. Title it whatever you wish, and the app will appear on your home screen, accessible just like any other app, but utilising browser formatting such as HTML5, Java and Flash. The URL toolbar will have been done away with and the casino lobby will open up immediately, allowing for more gameplay space and quicker access. While certainly not a complete list, the above devices will all be able to display the high intensity graphics utilised for many of the Android casino games. Unlike the desktop versions, interfaces on mobile and tablet platforms will obviously be smaller, but quality has not been watered down. The games available within each Android casino have been optimised specifically for the Android operating system, so sound, visuals, gameplay features and options remain strong and compelling. 1. Aliens – Net Entertainment’s classic, frightening and immersive video slot based on James Cameron’s 1986 blockbuster, starring Sigourney Weaver. 2. Mega Fortune – Net Entertainment’s largest progressive jackpot pokies game, holding the world record for the largest ever payout from an online slot game ($26,854,715 AUD). 3. Game of Thrones – Microgaming’s brilliant slot title based on the hit TV series. Offering some huge payouts and four specific bonus features: House Baratheon; House Lannister; House Stark; House Targaryen. 4. Immersive Roulette – A unique, high definition and multiple camera angle live game of roulette with some gorgeous real human croupiers you can chat with. 5. Live Blackjack – Be dealt real cards by real dealers, customise your betting limits, how many hands you play, and enjoy side bets like Perfect Pairs. 6. Casino Hold’em – The highly addictive poker variant which pits you against the dealer, and no-one else. Strongest five-card hand wins, with ample bonus payouts. 7. Vegas Single Deck Blackjack – The classic Microgaming blackjack title with one of the lowest house edges you will find within any mobile casino. 8. 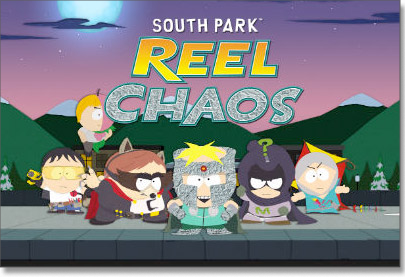 South Park: Reel Chaos – Net Entertainment has perfectly moulded the South Park TV series into a mobile slots game, with a ton of fun bonus rounds from all of your favourite characters. 9. The Slotfather – One of BetSoft’s top three dimensional pokies games, with a progressive jackpot, a gamble feature, and the chance to bank some huge cash prizes. 10. Gonzo’s Quest – Net Entertainment’s first platinum video slot game, using the fantastic Avalanche exploding feature, instead of typical reels, to step things up a notch. Progressive jackpot games and live dealer titles can only be played with real money mode. Android gaming at our endorsed casinos is of the highest calibre, and the sites we recommend are all licensed and regulated, offering secure banking methods and SSL digital encryption technology to safeguard all financial transactions. Always gamble responsibly, and never chase your loses.